Kevin Costner's sprawling epic journey, Dances with Wolves is coming home next month thanks to Shout! Factory. 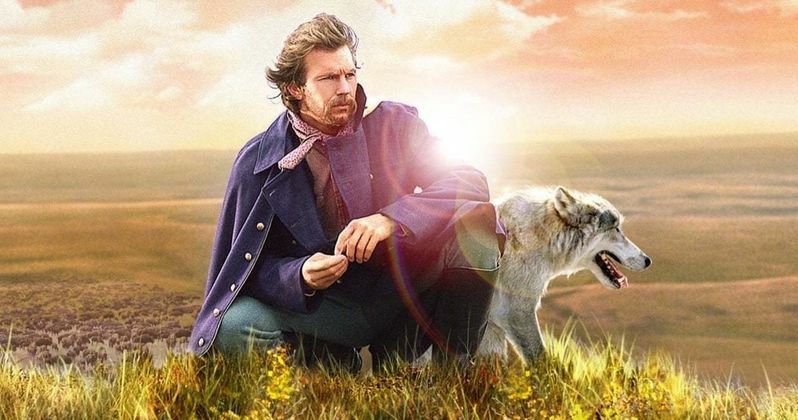 Kevin Costner stars in and directs the triumphant cinematic masterpiece Dances with Wolves, based on the novel by Michael Blake. Available November 13th, 2018 from Shout! Factory, this breathtaking three-disc Steelbook Collector's Edition includes the original theatrical cut for the first time on Blu-ray, an extended cut of the film and an entire disc of bonus features. Winner of seven Academy Awards®, including Best Directing and Best Picture, this modern classic tells the story of Lt. Dunbar (Costner), a Civil War hero who befriends a tribe of Native Americans while stationed at a desolate outpost on the frontier. What follows is a series of unforgettable moments - from Dunbar's tender scenes with Stands With A Fist (Mary McDonnell), to the thrilling, action-packed buffalo hunt. Experience the excitement, emotion and sweeping beauty of this cinematic treasure as never before on Blu-ray!